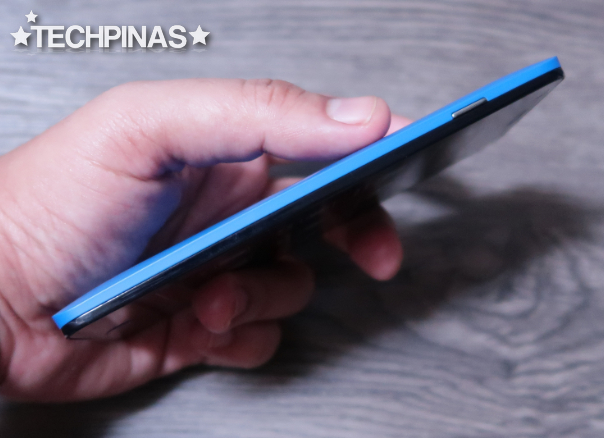 As of writing, there are already more than 30 Million Facebook users based in the Philippines. 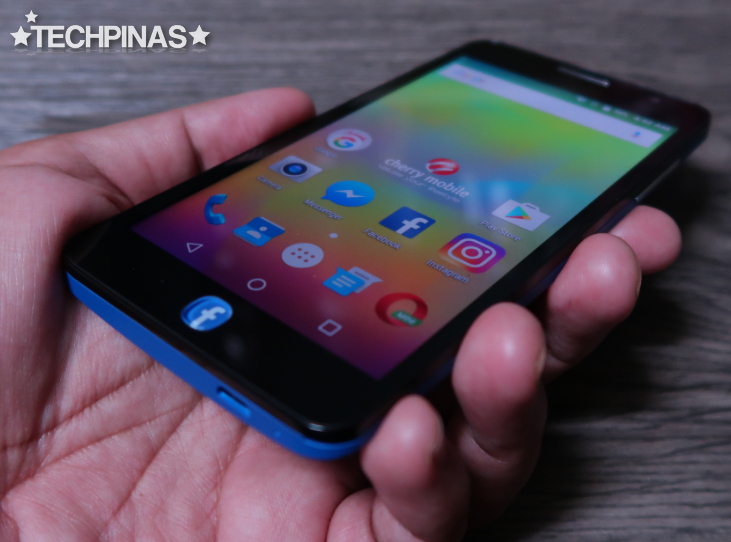 In fact, for many Filipinos who own a smartphone, the internet has become synonymous to their FB experience on their mobile device. 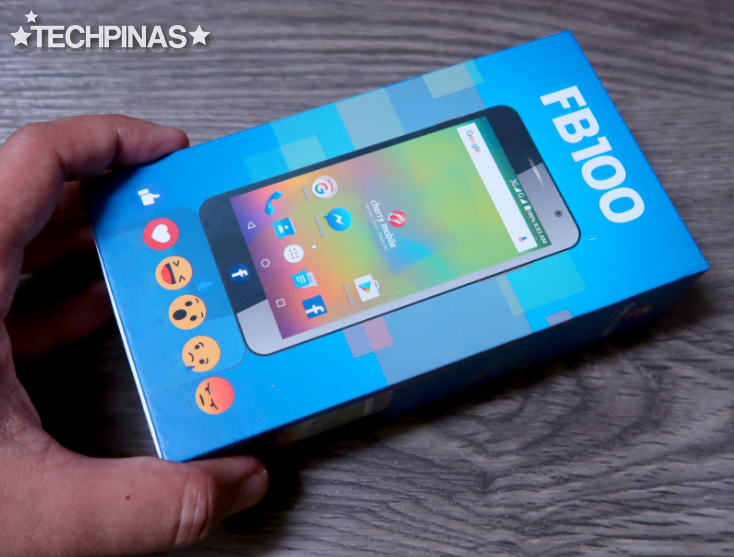 Given those facts, it's really no wonder that the country's leading local handset manufacturer released a new entry-level handset that's crafted specifically for those who love being active on Facebook. 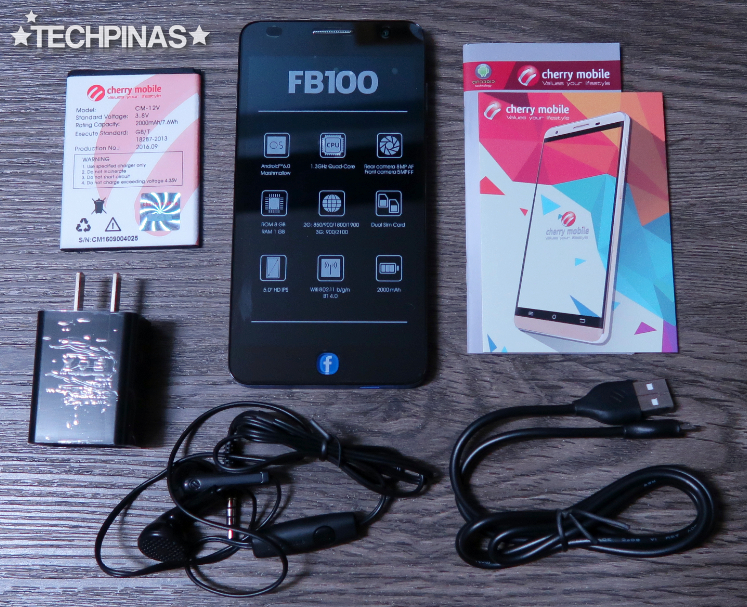 The new Cherry Mobile FB100's complete retail package sells for Php 2,999. Let's check it out here. 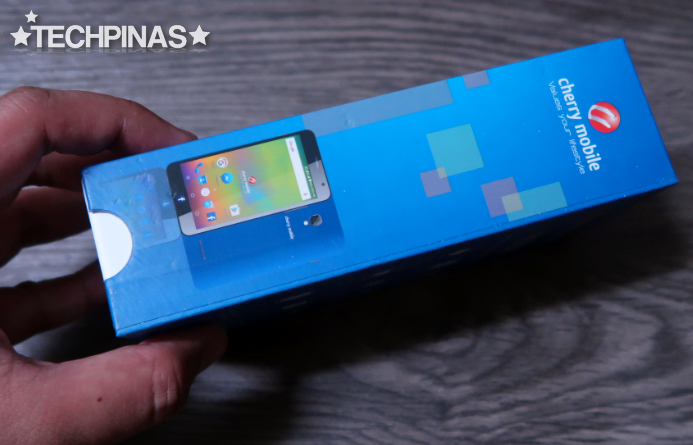 The box's simple construction is largely the same as that of other Cherry Mobile handsets in this price echelon. 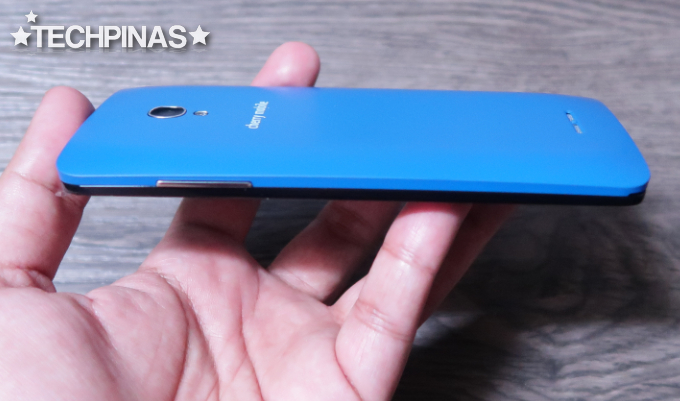 Though, the blue color of the pack is rather unique to this release as it hints of the Facebook-centric key feature of the phone inside it. You see all the key features of this model in one glance at the bottom of the box. The complete retail pack includes the unit itself, the travel charger, microUSB to USB cord, earphones, battery pack, and user manual. 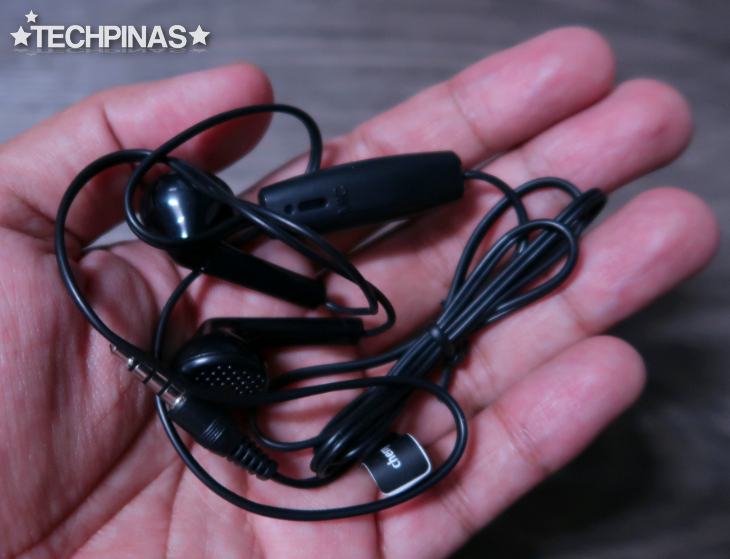 The standard earphones don't have in ear silicone buds but has microphone for making calls. If you have time, read the user manual. I'd love to see CM come up with a soft copy and put it in the device's settings just to save on paper, which is good for the environment. 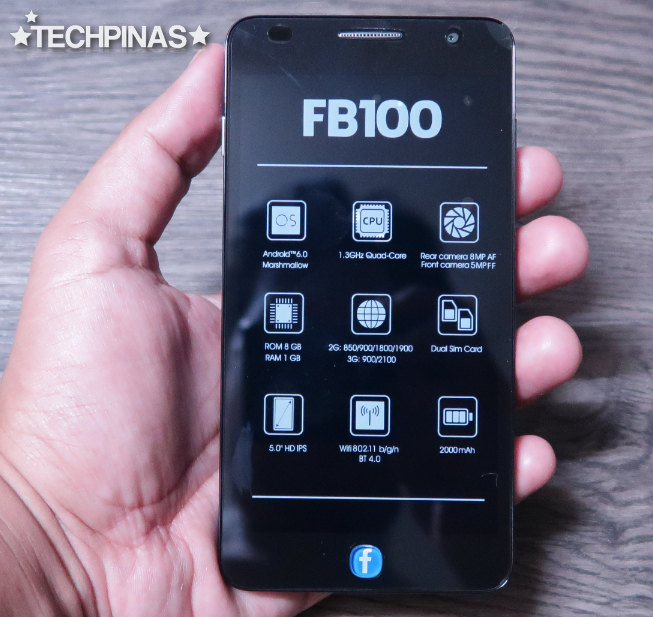 This sticker helps protect FB100's clear and bright 5-inch HD IPS display and the glass touchscreen during shipment. The body of the handset is made predominantly of polycarbonate. The plastic back plate is removable, giving access to the dual microSIM slots and the dedicated microSD card memory expansion slot. CM FB100 has few metallic accents including the squircle ring framing the camera module, the volume rocker, the power button, and the earpiece cover. 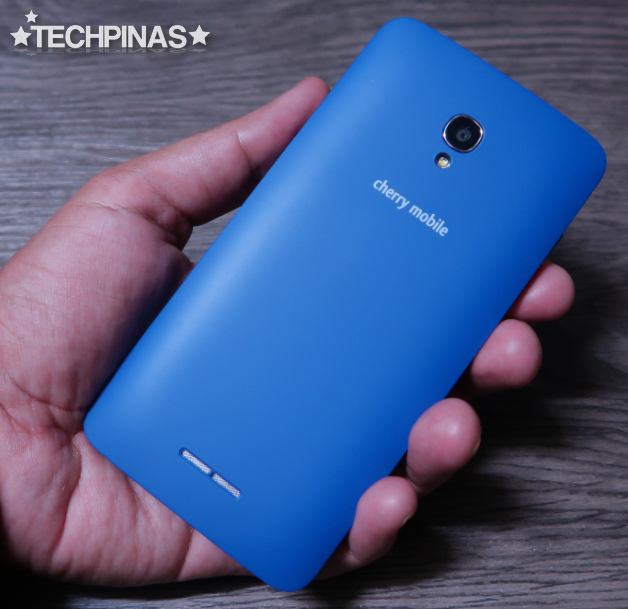 Cherry Mobile Flare FB100 has an 8 MegaPixel autofocus camera at the back with LED flash and a 5 MegaPixel front cam for selfies -- both of which have non-BSI sensors. Nonetheless, the main camera focuses on subjects quite fast compared to other smartphones in its price category, which I appreciate. As you can see, the device has a very subdued design language -- like it's a smaller CM Flare X model with blue cover. 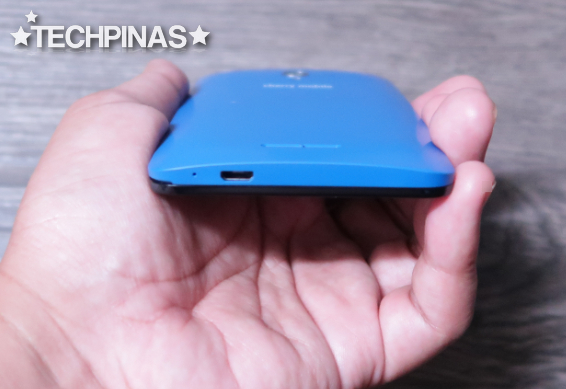 The back side has a subtle curve, however, that allows the phone to rest nicely in the hand. 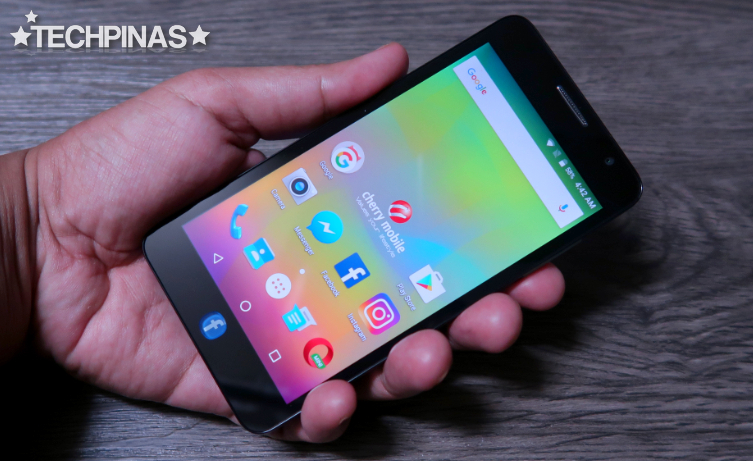 The smartphone runs its near-vanilla Android 6.0 Marshmallow OS with a 1.3 GHz Quad Core ARM Cortex A7 and Mali 400 GPU based MediaTek MT6580 processor, has 1GB of RAM, and comes with 8GB of expandable storage. 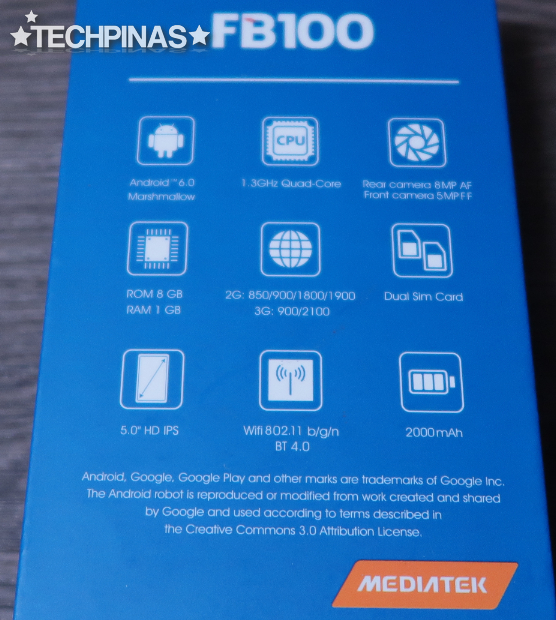 I'd say this set is pretty standard for a Php 2,999 Android smartphone by a local brand these days. 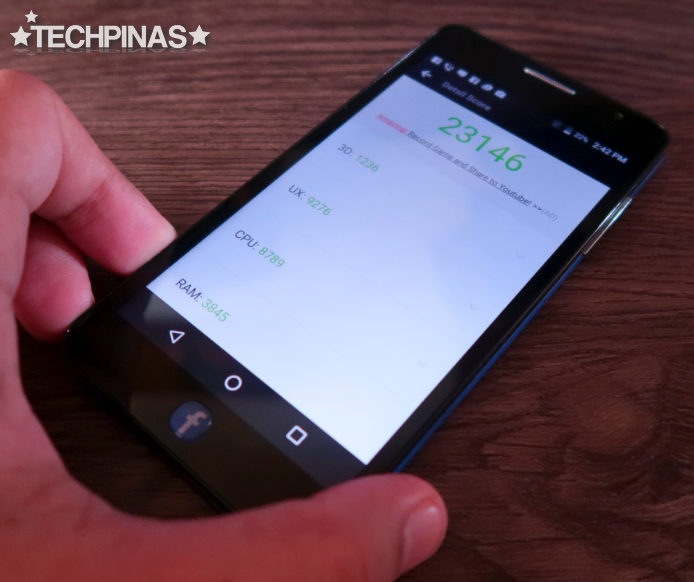 This combination of the internal hardware gave me an Antutu Score of 23,146 when I ran the benchmarking app on the handset. 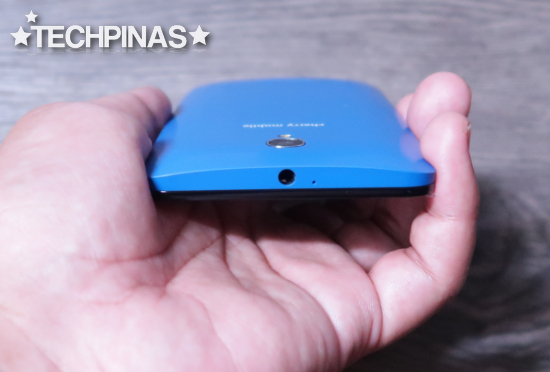 Cherry Mobile FB100 is powered by a removable 2,000 mAh battery pack that - I find - delivers around 7-9 hours of uptime with regular use and 3G HSPA+ mobile connectivity turned on. At the beginning of this post, I noted that this is a Facebook-centric release -- and the one feature that makes it just that is the FB button below the display. Clicking on it while you're on the homescreen instantly launches the Facebook Update window, allowing you to share your thoughts, photos, videos, and other content without doing numerous swipes and taps on the touchscreen. If you usually post numerous status updates on Facebook every day, I'm sure you'll love this unique feature. The cute HTC ChaCha from 2011 also has a button that works exactly like this. 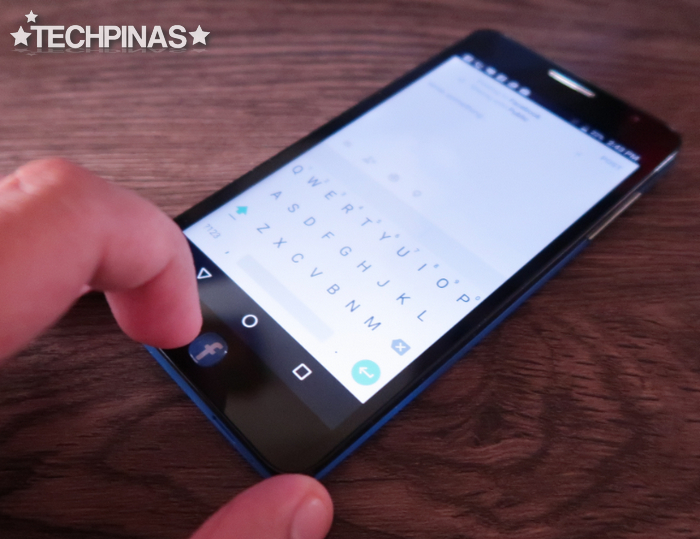 Do you remember that Android smartphone with full QWERTY keyboard and touchscreen? It was one of my favorite handsets that year. 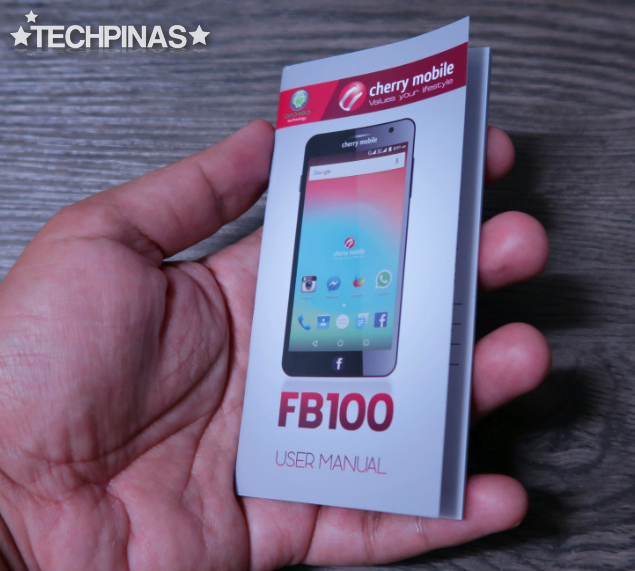 TP Friends, you can now get Cherry Mobile FB100 at all CM Concept Stores, kiosks, and authorized retail partners of the brand across the country.